The old adage is that if you touch a hot stove, you'll learn your lesson and not do it again in the future. The next time, you'll protect yourself. Nowadays, instead of letting natural selection take its course to weed out the morons in the world, society seems to be struggling to accommodate them. We should be leaving them in the dust, but we're stopping to turn around and hold their hand and push them along at the expense of ourselves. 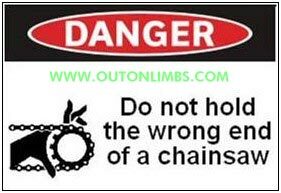 Perhaps there's no better way of illustrating this than the absolutely ridiculous warning labels being printed on products lately. 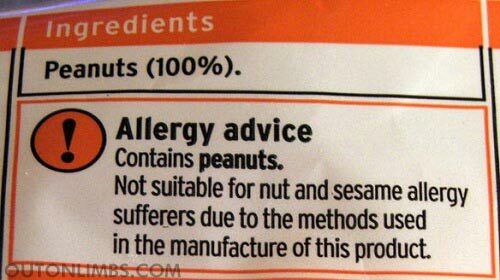 Obviously, warning labels are a necessity. Some things can legitimately be complicated or there could be some weird side effects that seem completely illogical. 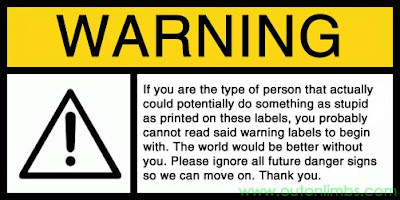 But the problem isn't that warning labels exist, it's that they need to warn people about the most ridiculous things. It's perfectly reasonable to have a warning for which medicines you can take and to what quantity. It's another thing to have to warn people not to grab hold of the sharp end of a chainsaw. That's not an isolated incident. 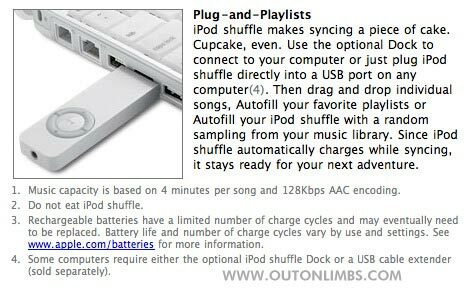 Hell, these two prove that there are morons out there that not only don't know not to eat an iPod Shuffle, but they also aren't smart enough to realize that peanuts contain peanuts! If you're stupid enough for these things to cause you any kind of danger, then I'm sorry, but your lack of intelligence is at such an extreme level that you're beyond saving. You obviously should not be trusted in any kind of job or to properly drive a car or anything else that affects the rest of the people in the world, so you might as well just kill yourself - which you probably will do sometime when you put yourself in a washing machine. You can't blame the companies that print these warning labels as they're just covering their asses in case someone tries to sue them for their own stupidity. That's why we see warnings that you shouldn't suffocate yourself with a plastic bag or spill hot coffee on yourself or God forbid STRANGLE YOURSELF in your window blinds. I submit to you an idea. How about, instead of printing these labels for the benefit of idiots, we print warning labels on the foreheads of the stupid people in the world. That way, when you are approached by someone with the giant "MORON" stamp on their head, you'll know to ask for someone more qualified to deal with and not waste your time. Give me a warning ahead of time so I can try to avoid these people. 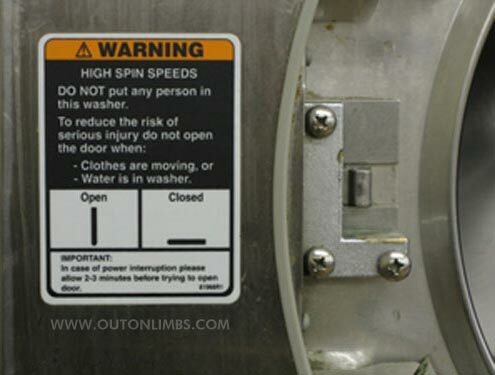 DO YOU HAVE ANY INTERESTING FUNNY WARNING LABEL STORIES? TELL US IN THE COMMENTS SO WE CAN LAUGH AT THAT IDIOT WITH YOU!